Throughout the past two decades, rock music has struggled to adapt to the new century’s tech, failing to make significant movement commercially and with many fans of the genre making nostalgia a fundamental characteristic of the genre. 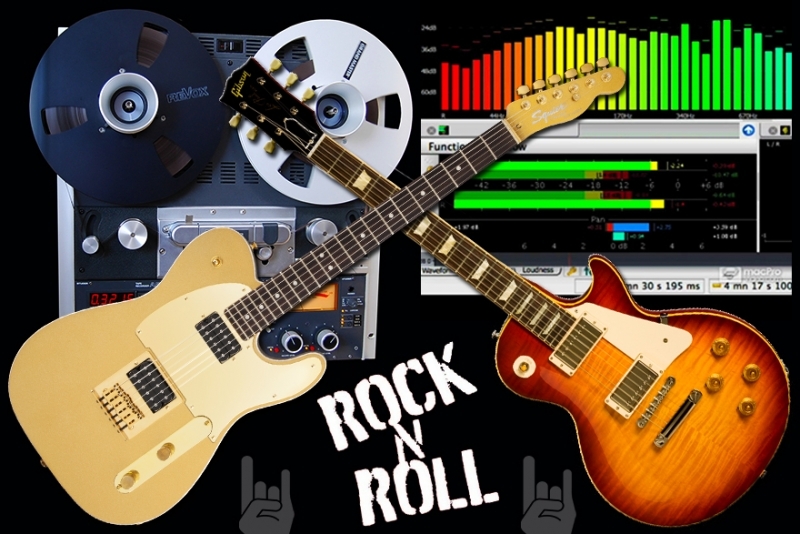 The analog equipment that dominated rock music in the 1950s through to the end of the twentieth century has gradually been replaced by primarily digital tech. been unfamiliar. Rock music is a genre that has been reluctant to adapt to digital tech, seen in previous decades as being ‘selling out’ or ‘cheating’ in some way. Today, there are three approaches to digital tech in rock music. There are those who go the complete other way, avoiding digital but delving deep into analog tech like Jack White and the Black Keys. There are those who mix the analog with the digital such as Muse. There are also those that have even gone further into digital tech such as Coldplay and U2. What is common with each of these artists however is that everyone is ‘trying’ digital tech, attempting to see how far into it they can go before rock music is no long rock music. This begs the question; is a completely digital landscape of music, does rock as a genre even exist? The answer’s not necessarily as cut and dry as yes or no. Music history has shown genres essentially having their peak decade or two and then settling into a niche. This has happened to folk, jazz, blues, rockabilly, and other genres. These categories of music are still around to this day, alive and well, playing to people who want to hear it. Though rock music may not have the commercial sway it had decades ago, there’s no reason to think that it won’t do the same – settle into a niche genre. The same thing is bound to happen to hip hop, electronic music, and whichever new music that comes after it. With regards to adapting to digital tech, rock music is a genre built on live instrumentation and live performance, more than any other contemporary commercialized genre. There is always going to be a dependency on live instruments and on analog equipment but in order to succeed in the marketplace, commercially and artistically, there needs to be ‘new’. There needs to be bands and artists re-defining what rock music is, and applying more digital tech to rock and to do it tastefully is the present challenge in keeping rock as a viable commercial genre. The most successful rock bands of the next decade – the 2020s – will be the bands and artists who are able to adapt to the digital landscape most successfully. Analog vs. digital is not a debate meant to keep a person to one side. A blend of both techs could very well assist in elevating the rock genre to heights that it has not yet seen in the digital world. If rock fails to adapt, it could very well settle into its niche as other genres have and will survive in that niche for a very long time. Genres of music do not die and rock is not dead. If the music does not adapt or accept the contemporary conditions of its pop culture however, the general population as consumers will move on to something more current.